Another night shift here in the Westchester County EOC. I’ve been asked several times what we’re doing…what’s the mission. It’s simple really, the locals have been going at 24 hours a day for a week or better so we’re here to give them a break. We’re doing basically the same job we do at home: writing operations plans, coordinating efforts, filling resource requests and generally helping to solve problems. It’s not always exciting, and the pace is pretty slow at night. But that’s not why we’re here. By being here we make it possible for locals to get some rest, do some laundry, see their kids, and maybe, just maybe clean up and repair their own storm damage. A Westchester home being ‘freed’. It’s pretty easy to forget that those in the middle of setting things right are also survivors of whatever calamity struck the community. All the people that have been working have the added stress of personal loss. In this job there’s a toll on your personal life, and we’re all pretty much OK with that. It’s not like we didn’t know this when we signed on, so don’t get me wrong, they are not complaining. In fact it makes me want to be here all the more because they would just keep going if nobody came in and said “just stop a minute and catch your breath, we got this for a bit.” In some cases it’s even worse; case in point: the Director of this department is obviously neck deep in the local incident, but her husband is a firefighter in FDNY– so he’s been mandated on extra shifts too. If the situation were reversed they’d do the same for us. I know that without question. We’re also here to learn. The best way to really understand what it takes to get the power back on, get roads cleared, people sheltered, and work with FEMA is to just do it—at the same time (for 12 hours, on back to back shifts). Only then can one really get what the challenges are and be able to plan for them. For example, generators are always in high demand after disasters. We know that and have done some planning for it…what we didn’t spend a lot of time studying was that there’s a large variety in generators, from the power output to the connections. Turns out, NY State Office of Emergency Management has a request form that asks all the right questions so we can make sure the right kind of generator gets requested for the situation. The form is coming home with us. Now, about this nor’easter coming in tomorrow. The area is under a high wind warning with gusts in excess of 40 mph possible. Normally not a reason to staff an EOC, but on the heels of Sandy with so much of the infrastructure already damaged and fragile, it’s something to worry about. 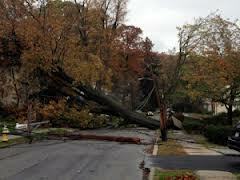 Sandy knocked down more than 500 power poles and 190K customers were left without power. While they’ve got power restored to all but 41K customers, repairs made at this pace almost always require some temporary fixes until there’s time for a more extensive repair. 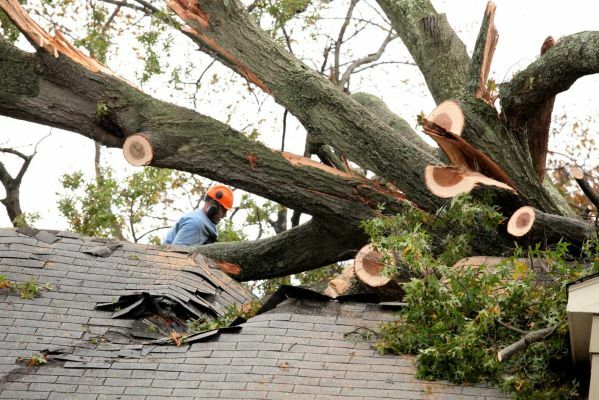 That leads to the obvious question: “will they hold?”Add to that the unknown number of damaged—but not fallen tree limbs—and the impact the wind (and fallen tree limbs) can have on restoration efforts. In the meantime we watch the weather radar and talk to the locals – learning from their insights and building friendships that will last a lot longer than the wind tomorrow. This em4SF Blog comes to us by way of Westchester County, New York, where our Deputy Director Rob Dudgeon and a team of fellow DEM’ers have been deployed to help the Westchester County Department of Emergency Services support its community’s recovery from Hurricane Sandy. In this Blog, Rob Dudgeon shares his thoughts and observations about team’s first day on the job. 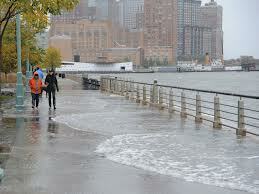 When Sandy hit the East Coast, San Francisco offered to send staff to help out, knowing all too well that within a couple of days local personnel would be exhausted and need relief in their operations centers. The call came just as we wrapped up October, putting another Giants victory and celebration into the history books. By the time everything was officially planned, it was Saturday, November 3rd….and we were all juggling to arrange flights to New York on Sunday, the 4th. The San Francisco Department of Emergency Management (DEM) staffed five of eight people assembled by California to form an Incident Management Assistance Team. The other three people are from the City of Los Angeles and the California Emergency Management Agency (Cal EMA). Westchester County Department of Emergency Services in Hawthorne, New York, just 30 miles north of New York City. On Monday, November 5th we assembled in Hawthorne, New York for a seven day assignment in the Westchester County Emergency Operations Center (EOC). 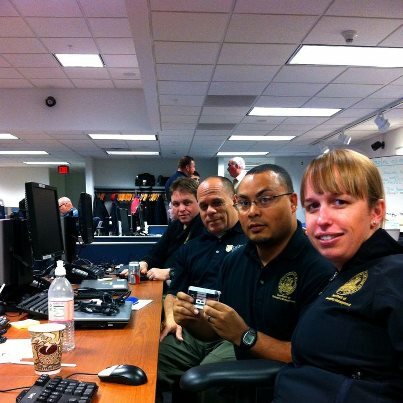 Our team took the night shift, filling roles in Plans, Operations and Logistics. So as we begin to learn how things are done in New York (and get adapted to working nights), I thought it was a good chance to share some initial thoughts and observations. Team DEM/Cal EMA kicking off their first night shift in the Westchester County EOC. Pictured left to right: Rob Dudgeon, DEM Deputy Director; Bob Butchart, Cal EMA Ports and Harbors Program; PJ Redmond, DEM Department Liaison; Jill Raycroft, DEM Exercise Planner; and not pictured because she was taking the photo, Alicia Johnson, DEM Resilience and Recovery Manager. On the surface, it doesn’t look too bad here in Westchester County. If you pay attention though, you see the signs of a community ravaged by a storm unrivaled by any in memory. First, we noticed that the airport was on generator power and tripod work lights line corridors – all plugged in to the ubiquitous red faced outlets. Second, there were no cars available – not that we expected any. With this many people deployed to the region from all sorts of agencies there’s not much hope of rental cars sitting idle. Luckily, the first members of our team struck gold and found one car prior to my arrival so we at least had transportation. Finding a place to sleep was our first challenge. With the power out, staff from the main utility company, ConEd, are occupying almost all of the hotel rooms in the area – and a huge tent city in a local amusement park’s parking lot – but with a new storm due Wednesday, that’s a whole other issue. Logs finally found us billets at a local Catholic retreat center 20 minutes from the EOC. In a couple of hours, our little rooms will feel better than a suite at the Ritz-Carlton. As you drive around you notice that most of the stop lights are out. Utility crews are everywhere. There’s still plenty of small debris scattered about, piles of sawdust from chain saws working, offer a hint of what it must have been like right after the storm. In some places there are large (VERY LARGE) trees uprooted. And then there are the gasoline lines. 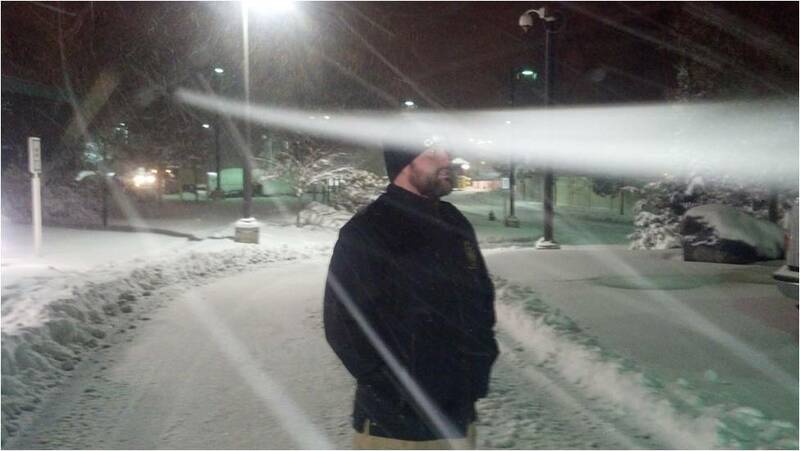 Not too bad here – certainly not as bad as what we’ve seen on the news from New Jersey and Long Island. People here told me it’s been about a half hour wait, but that many stations are closed and deliveries delayed. When a station is open we see police assigned to the location – although not always – we’re told that it’s primarily for traffic control (the lines tend to snake a long way down the road) versus security around here. While the situation is generally improving, it’s now becoming a challenge to fill response vehicles (the county tanks are running out) and a DoD fuel tanker was brought in to service critical vehicles. First: that our dependence on technology is a weak link. At one point during the storm the IT department had 400 alerts to failures – most of which require an eyes-on assessment to fix. SCADA systems, communications systems and outlying municipalities’ connections to the IT backbone failed. Hardware, in the basement of a sewage treatment plant, was ruined after the plant flooded out. They’re still off-line as of tonight. The take away? Don’t take technology for granted, protect it and account for it in your planning. As a society we are way past inconvenience…if it fails critical services will cease until it’s fixed. Second: that we can never underestimate the force of nature. When asked what the biggest surprise was, tonight’s Incident Commander told us that they were caught off guard by how far up the Hudson the storm surge pushed. The 5 foot surge pushed boats onto roads and railroad tracks, washed away beaches, and flooded beyond what the modeling predicted. With that in mind, all attention turns to Wednesday when a Nor’Easter is expected to bring more wind, more rain, and maybe a little snow to this already beat up community.